First details on the series' returns to its WWII roots. Hey Battlefield players, my name is Lars Gustavsson and I’m the Senior Producer on Battlefield V, which comes to PlayStation 4 this October. You may have heard by now that the next Battlefield experience takes place during World War 2. For those of you who have been with us from the start, you’ll know it’s a return to the era where it all began for the veteran series. Battlefield 1942 released more than a decade ago, and it was the realization of a dream from the original team and myself to relive moments from our favorite WW2 films within our very own game. We’ve brought different eras to life since then, but truth be told, a return to WW2 has always been in our sights. The scope of WW2 is immense and instead of recycling the locations of Battlefield 1942, we decided to capture it by exploring uncommon but pivotal places as well as telling unfamiliar stories. 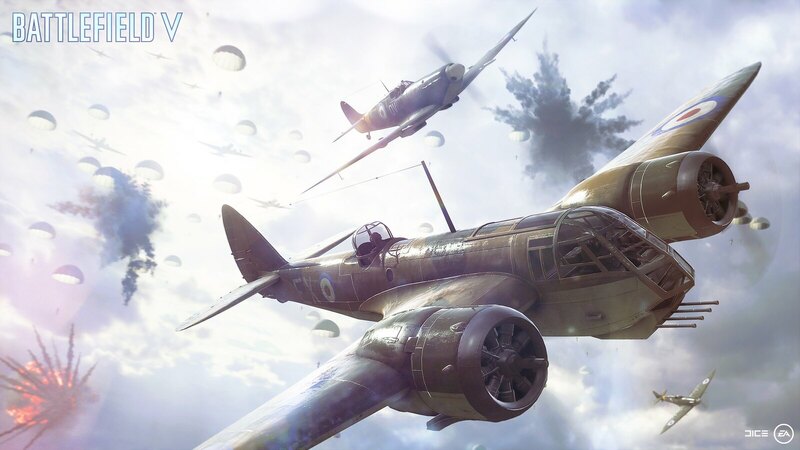 No doubt, Battlefield V will retain memorable WW2 elements such as paratroopers dropping in from the sky to aid in critical mission, but with an unpredictable situation once you hit the ground. War Stories, our single-player experience from Battlefield 1, returns as another driving force taking you to play in unexpected places. One story takes players to Norway amidst the German occupation, where you will engage in the story of a young Norwegian resistance fighter. We designed each story with a fresh angle, palette, and gameplay to ensure that you are engrossed at every turn. 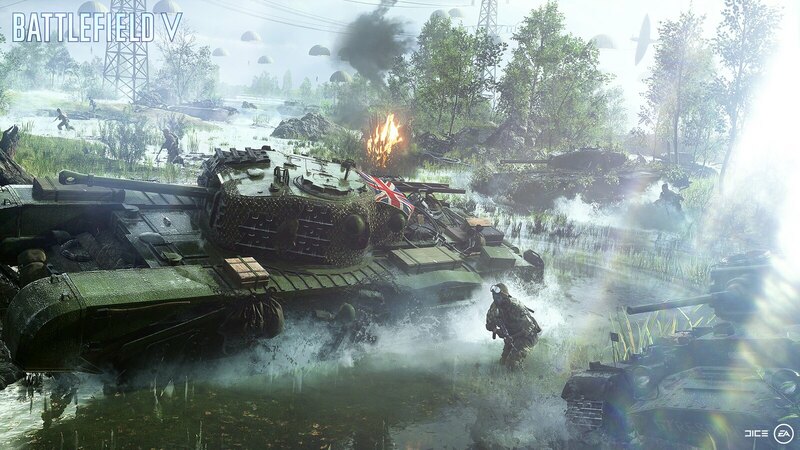 Battlefield V will unfold as an ongoing journey and allow players to deploy on more maps and experiences over time to best capture the immense scope of World War 2. It’s not enough to deliver maps and stories to merely play through – we want you to change the war and for the war to change you. We are doing this through your Company. This is where your Battlefield V journey starts. Create and customize how your soldiers, weapons, and vehicles look and play for a more personal as well as tactical experience. Soldiers can alter their faces, outfits, and warpaint to go with their class, archetype, loadout, and special skills. These changes will give vehicles, weapons, and soldiers a story, carrying into each and every battle a certain weight and a history that makes others wonder what they’ve been through. We are excited to finally return to the roots of the Battlefield series and even more so to do it in a way that has never been done before. We hope you are excited, too, and will join us on this journey. 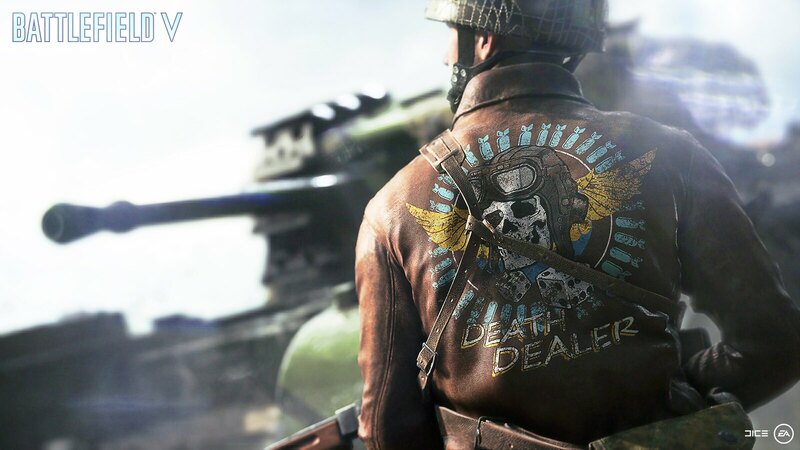 Deploy on PlayStation 4 starting October 16 for Battlefield V Deluxe Edition early enlister access, and October 19 for the Battlefield V Standard Edition. Day one buy since you guys are actually smart enough to come out with a campaign unlike those dumbies at Treyarch. Well at least there is a resemblance of an campaign. Can’t complain too much. Prefer if it was traditional. Kudos for trying. What happened to E3 reveals? I know we’ll see footage at E3, but still announcing it early kills the hype and your chance to leave a good first impression with a trailer. Alright I’ll buy your game. Hey heard there is an open beta, or is that fubar? …like France? Wow, how different.